We receive lots of calls a year from people who have found a grounded or injured bat. We respond as quickly as we can and where necessary will take a bat into care with the intention of releasing it as soon as possible. 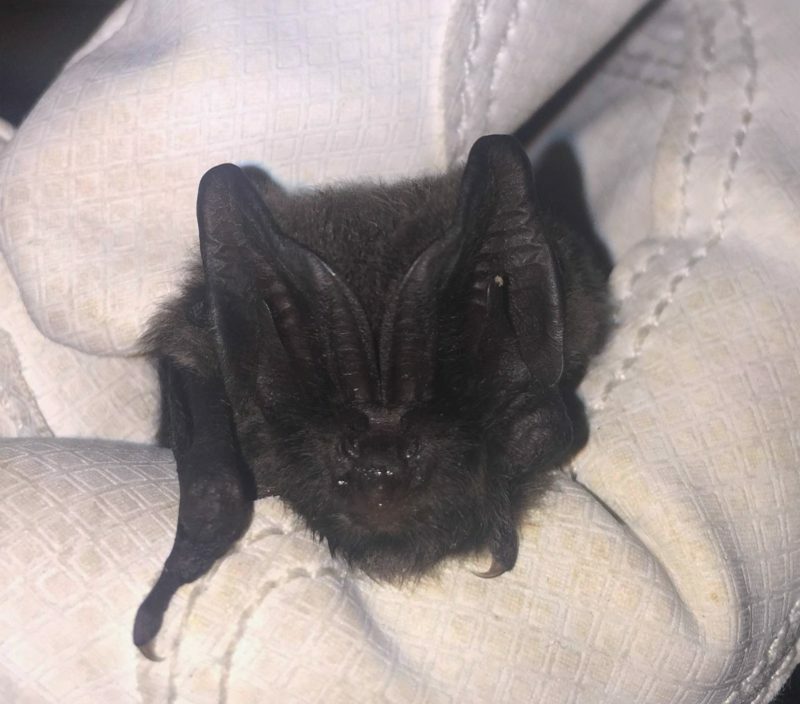 Bats are long lived for small mammals so it’s important that we release them at the same place where it was found as it will know all the best feeding and roosting sites. If you find a bat the best way to contact us is by calling the National Bat Care Helpline on 0345 1300 228. If for any reason you can’t get through or if there is no answer please send an email to nottsbatgroup@gmail.com with your name, phone number and location and we will get back to you as soon as we can. It may take longer to respond to an email so please use the helpline first. As blind as a bat? Not true, in fact bats have quite good eyesight, especially at dusk. Fruit bats have large eyes which gather in a lot of light giving them good night vision to find their food. Microbats, although possessing reasonable eyesight from their much smaller eyes, have a much more efficient method of finding their way in the dark called echolocation. They shout extremely loudly, at frequencies too high for us to hear, and listen for the returning echoes. The echo gives them all the information they need about their surroundings and where their food is. It really is amazing that a bat can locate, whilst flying, a tiny flying insect in total darkness.